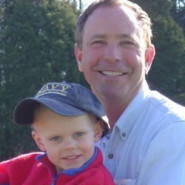 Daniel Fischer and his grandson, Cian. You can trust my Grandpa. I do! Daniel Fischer Landscape Nursery is a private nursery located in eastern Jefferson County, KY. Since 1975 Daniel Fischer has been plowing, planting, irrigating, spraying, pruning, and digging for customers in and around Louisville. With an impeccable reputation, Daniel is proud to GUARANTEE his work. It is his promise to you. Call us at (502) 245-8662 to schedule a consultation. Just wanted to let you know how pleased Ken and I are with the beautiful job you and your crew did with our new landscaping. Above all it was such a pleasure to deal with such a professional, pleasant and hardworking group that takes such pride in their work and tries to please the client. Thank you for the great job. Our yard has never looked better! Special thanks to Tim....he was wonderful, asking what I wanted to make sure things were done to my satisfaction. Mr. Fischer, Your assistant was a real pleasure. He came on time, worked diligently and did a very fine job. I appreciate your work each year. Dan, Thanks once again for doing such a great job. The work is always exceptional and your people are so friendly yet professional at the same time. Thanks! Dan, We are still marveling at the dramatic change in our hollies, boxwood and our flowering tree. We have been here for 7 1/2 years and it has never looked so good. Whoever was wielding the hedge trimmer on the boxwood and holly is an artist! Dear Mr. Fischer, I love my yard all shaped up and my new tree is beautiful. Special thanks to Tim – he is wonderful, asking what I wanted and were things done to my satisfaction. Arturo does a great job of trimming and shaping. I need to take lessons! Dear Dan, Just wanted to let you know how pleased Ken and I are with the beautiful job you and your crew did with our new landscaping. Above all, it was such a pleasure to deal with such a professional, pleasant and hardworking group that takes such pride in their work and tries so hard to please their client. Kudos to all of you!